DMC Coloris is perfect for stitchers of all levels. 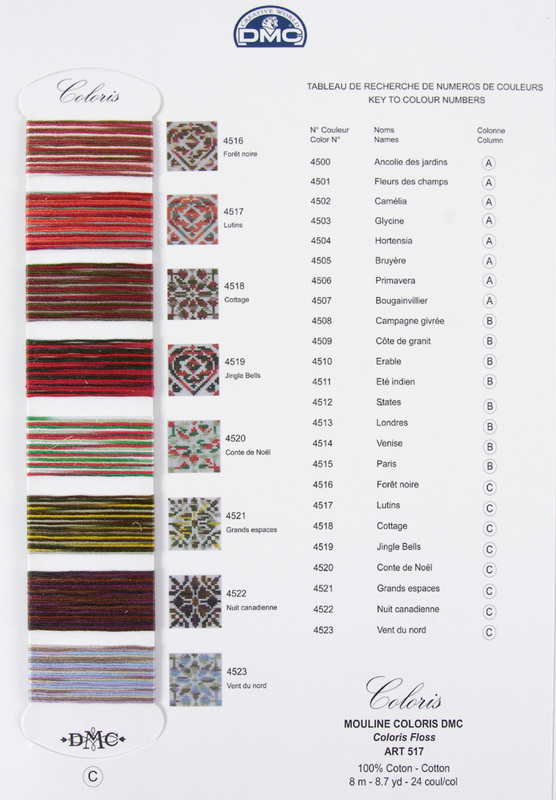 Whether you are an experienced or new stitcher, you'll find Coloris easy, and fun to stitch! 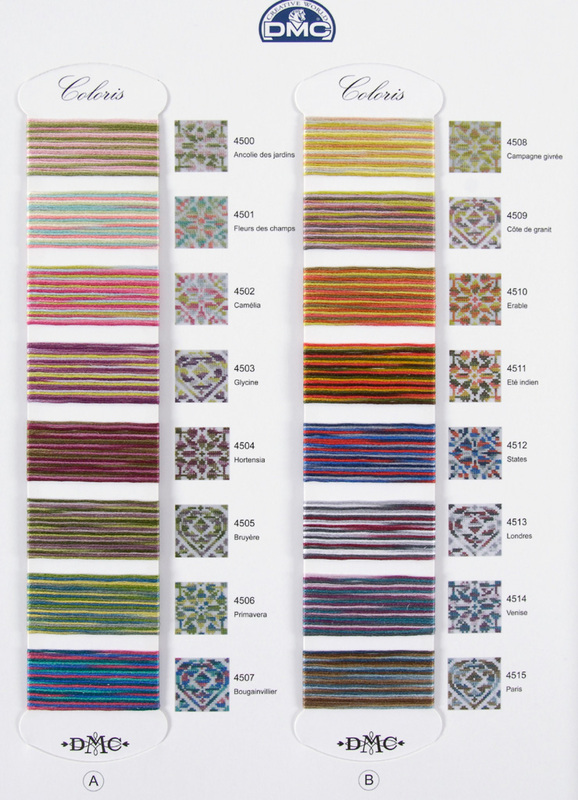 Coloris is designed to be stitched using any embroidery technique; its color combinations will always show. DMC Coloris offers exciting stitching; no two stitched pieces are the same. 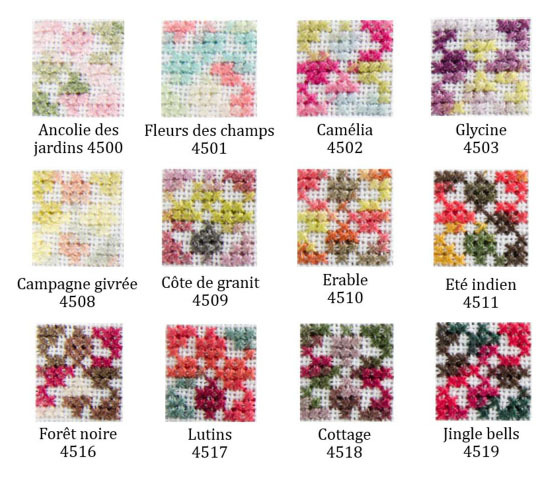 One Cross Stitch at a time: by completing each stitch individually, Color Variations will distinctly change into the thread's next color. This method gives you more control over the placement of the variation in the thread. 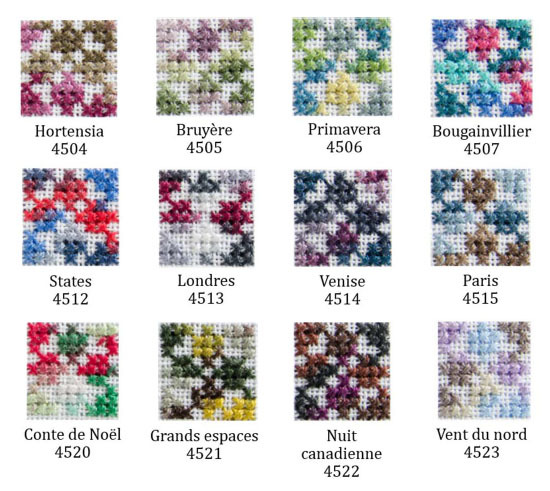 Standard Method: (stitching a row of half cross stitches in a row from left to right completing each stitch on the return) Threads stitch using this method will create a “tweeded” or blended look when completed.